Scott Heineman slugged a pair of solo home runs and the Round Rock Express held off a late New Orleans Baby Cakes rally in a 3-2 victory. 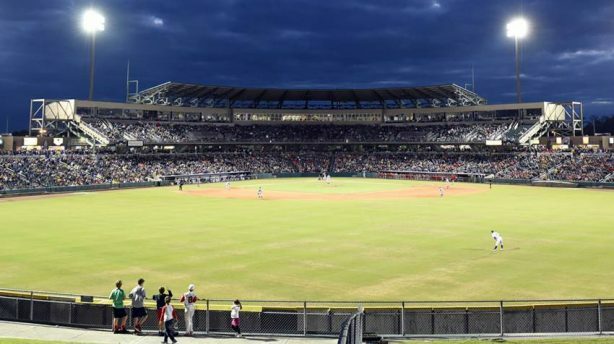 The New Orleans Baby Cakes hammered three home runs and defeated the Round Rock Express 9-2 in the first game of a four game series Friday night. Adolis Garcia and Patrick Wisdom homered, leading the Memphis Redbirds to a 5-3 win over the New Orleans Baby Cakes on Thursday night. The New Orleans Baby Cakes used a three-run third inning and seven solid frames from Jeff Brigham to defeat the Memphis Redbirds, 4-2 on Wednesday night. The Baby Cakes returned to the .500 mark at 63-63, winners of 13 of their last 16 games. Beau Taylor delivered a two out run scoring single in the eighth inning to give the Nashville Sounds a 5-4 win over the New Orleans Baby Cakes in the final game of the three game series. Peter O’Brien hammered a pair of home runs to lead the New Orleans Baby Cakes to a come from behind 6-5 win over the Nashville Sounds. Peter O’Brien added a pair of hits and drove in two to lead the New Orleans Baby Cakes to a 3-2 win in front of a sell-out crowd at First Tennessee Park. The ‘Cakes win streak was halted at five but the club has won 10 of their last 12 games. The New Orleans Baby Cakes drilled three home runs including a fifth inning grand-slam to defeat the first place Memphis Redbirds, 10-6.